Excel to Pdf Converter 3000 provides the fast, affordable way to free create professional-quality documents in the popular PDF file format. Its easy-to-use interface allows you to free create PDF files by simply click "Convert" from Excel, creating documents which can be viewed on any computer with a PDF viewer. It supports xls, xlsx, xlsm etc format. The conversion speed is very fast. Simultaneously convert massive different format files to PDF once to save time and energy. Create PDF file from xls,xlsx,xlsm format files with three modes (default mode, image mode, text mode) for different needs. 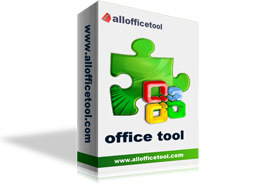 Support xlsx of Office 2007. Merge each sheet of Excel to one PDF. Provide more detailed parameters settings to resize PDF page. Provide watermark image settings and watermark character string settings. Copyright 2006-2009 www.allofficetool.com All Rights Reserved.